Large Black Shell Round Silver Ring is handcrafted jewelry of simple elegance, quality and craftsmanship. 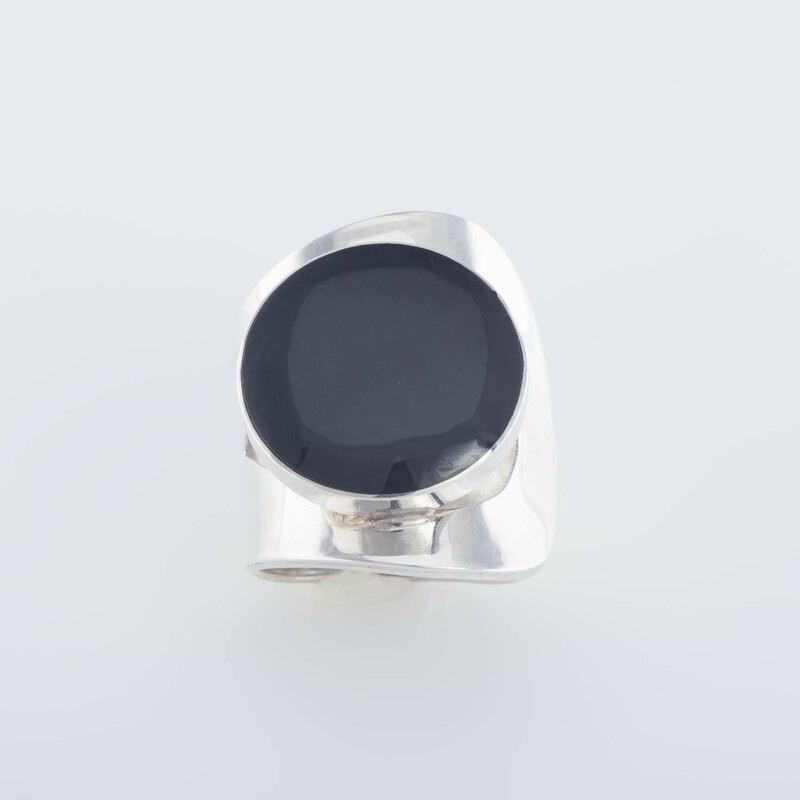 A chunky Black Shell in round silver inlay looks alluring on your finger. A Bold statement ring to announce your presence even before you have arrived. Look splendid in this ultimate B... Read more. Large Black Shell Round Silver Ring is handcrafted jewelry of simple elegance, quality and craftsmanship. A chunky Black Shell in round silver inlay looks alluring on your finger. A Bold statement ring to announce your presence even before you have arrived. Look splendid in this ultimate Balinese jewelry with an excellent finish that will make you spellbound by its glow.